Here at Euro Image Med Spa, we use the Pixel laser in order to address any skin resurfacing concerns, such as acne scars and other scars. The Pixel laser is the latest technological advancement in skin resurfacing, providing medical professionals like us with a solution that delivers effective results. 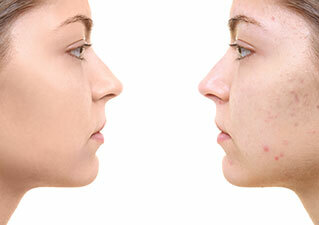 Acne scars are a common skin concern for many, both young and old. While certain skin types and pigmentation are more susceptible to acne scars than others, it is still something most people can relate to. 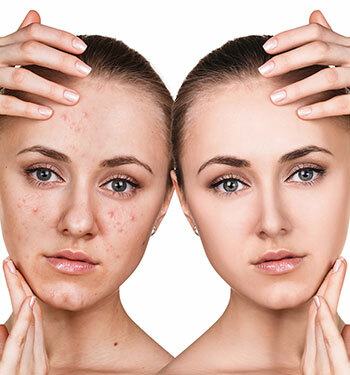 We are able to remove annoying acne scars with the Pixel laser, which works by applying pin-sized laser points to the problem area, leaving the rest of the skin untouched. Scars form for many reasons, whether from acne or surgery. While it may be difficult to imagine your skin free of scars, the reality is that this is quite possible with our help. Laser scar removal is a non-invasive, advanced scar treatment that provides individuals with real results. You can throw out all the acne scar removal serums; laser therapy will leave you with beautiful, scar-free skin without any discomfort. Laser therapy is ideal for the removal of acne and surgical scars because, unlike surgery, it uses pulses of light to reach deep into the sublayers of the skin. This method awakens the body’s natural healing process, encouraging it to jump into action and do away with any older, damaged tissue. Laser therapy also stimulates new collagen and elastin growth, which are important building blocks for beautiful, healthy skin. This fast and pain-free procedure is easy to tolerate and provides individuals with results in just one or two sessions. Technology has come a long way over the years, and today lasers are far more accurate than traditional surgical tools. The Pixel laser used here at Euro Image Med Spa is the best on the market, allowing us to address your skin resurfacing needs efficiently and safely. Laser therapy sessions are far shorter than traditional surgeries and cause less damage to the skin. In order to find out more about laser acne scar removal and whether or not you are a good candidate, give Euro Image Med Spa a call. We are here to address any of your skin resurfacing needs and will work with you to ensure we find the right therapy for your needs.